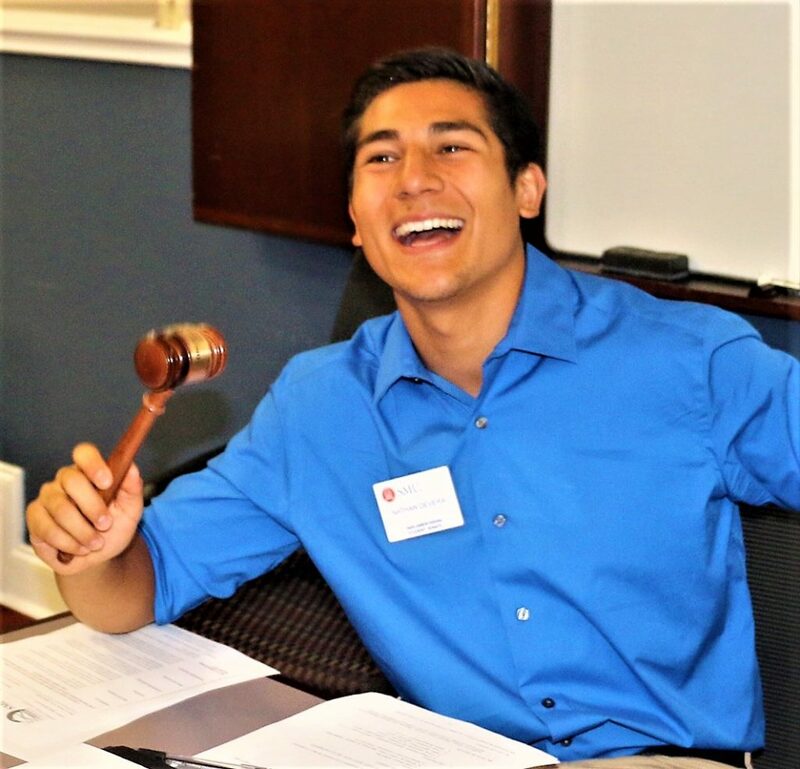 “It is an honor to lead and serve my school community and to amplify the student voice,” says SMU student body president Nathan DeVera. Nathan DeVera is in the midst of a very busy senior year. When he is not managing parliamentary procedure as Southern Methodist University student body president, he is the captain of SMU’s rugby team, president of the university’s Southern Gentlemen a cappella group and a Hillel Board member. Not to mention completing requirements for the math and mechanical engineering bachelor’s degrees and the mechanical engineering master’s degree he will receive next May – yes, a double major and a master’s degree in four years. A student senator in his freshman year and student body vice president last year, DeVera has made himself present in student government throughout his college career. Now, whether he is speaking at new-student orientations, encouraging extracurricular activities or just giving directions on campus, DeVera’s bright smile and great demeanor are one of the bright lights on the University Park college campus. A Southern California native who was raised nearly his entire life in Las Vegas, DeVera is the son of Lorenzo, born in the Philippines, and Esther, born and raised in Israel. DeVera’s first trip to Israel came in the summer of 2016 as a Birthright participant, during which he also visited with many members of his mother’s family. After a lifetime of family coming to the U.S. to be together, he now has his own memories of Masada, of the Kotel, of going to the markets in Tel Aviv and speaking Hebrew in the streets. The former Milton I. Schwartz Hebrew Academy (now The Adelson School) and The Meadow School student celebrated his bar mitzvah at Chabad of Las Vegas. His family also attended Temple Beth Sholom. DeVera, who came to SMU with a deep connection to his Jewish roots, quickly sought out the campus’ Hillel. He met director Rabbi Heidi Coretz and found programs and services that throughout his college career have allowed him to hold on to his heritage. With eight months until graduation, DeVera’s recent summer internship at Lockheed Martin resulted in an already signed contract to begin work next summer at Lockheed Martin Space as a project engineer with the navy’s fleet ballistic missile program.